Nanoforging refers to the production of different types of nano-structured materials from metallic alloys. The process first establishes nano-structures in the bulk alloy and then separates them by selective phase dissolution. 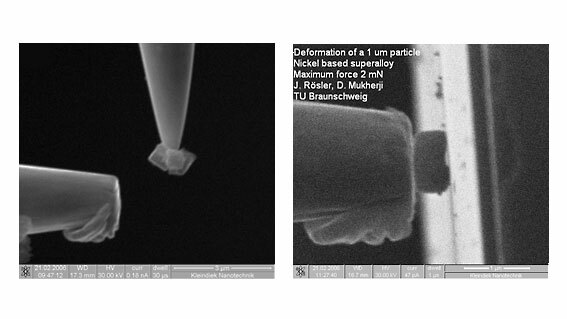 These objects are then isolated from the sample surface in SEM using manipulators and placed on a micro-anvil. 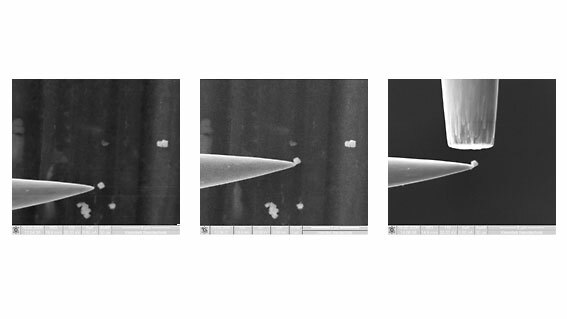 Finally, an in-situ nanomechanical test is performed, in which the shape of the object is changed by nanoforging using a micro-hammer. 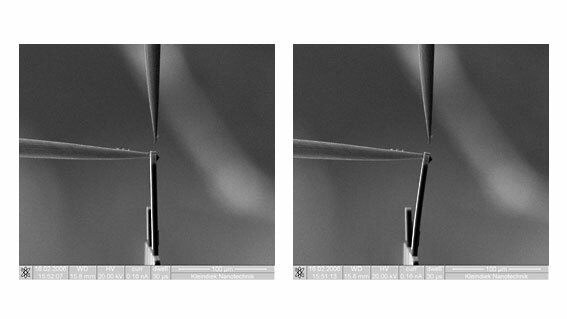 In this way free-standing, high-strength, metallic nano-objects with dimensions in the 100 nm range can be created.